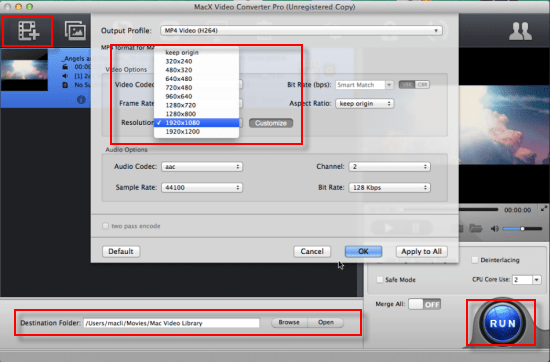 How can I successfully stream 4K/2160P MKV/MPEG videos on macOS High Sierra? Is there any practical 4K converter for macOS High Sierra? Thanks for your wonderful advice. As is known to all, Apple announced its latest desktop OS named macOS High Sierra on Monday, June 5, 2017. Truly, macOS High Sierra brings many pleasant new features, one of which is the brand-new HEVC support for 4k video playback. Many Apple users can't wait to play 4K UHD videos on macOS High Sierra for experiencing the stability of macOS 10.13. But some Macs with lower configurations will stutter and encounter problems with 4k playing. Given that, we gives you top 3 macOS Sierra 4K video converters as well as how to convert 4K videos on macOS Sierra for compatible with QuickTime media player or other video players. 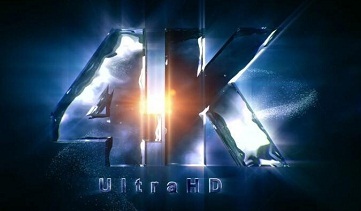 When it comes to looking for 4K conversion software for macOS High Sierra, you must pay more attention to its function, price, compatibility and conversion speed. The first 4K video converter we are going to talk about is MacX Video Converter Pro which is designed especially for Mac users (MacBook Air/Pro, iMac 4K/5K, etc). Now, let's explore its main features. Directly transfer 4K HD videos to iPhone XR/Xs/Xs Max, iPad Pro/Mini 4, Galaxy S9, HTC 10, etc 420+ mobile devices. 5X faster video conversion speed than other top 4K converter for macOS High Sierra thanks to its Intel QSV/Nvidia/AMD tech. Perfectly compatible with macOS (macOS Mojave/High Sierra/Sierra/El Capitan included). Big-league video editing feature, for example, trimming, cutting, merging, adding subtitles/watermarks, etc. Painlessly compress 4K to 1080P/720P video or compress MKV to smaller-sized video formats like MP4, MOV, etc. Freely download 4K videos from YouTube and other 1000+ online sites including Vimeo, Vevo, SoundCloud, etc. Ahead of 4K UHD video conversion, you need download this 4K converter for macOS High Sierra on your Mac computer at first. Next, follow this below simple steps to transcode 2160P videos. Step 1: Launch the best 4K converter for macOS High Sierra. Click "Add File" icon to load the 4K video file you wanna convert. The converter support any 4K codecs, including H.265, VP9 and AV1. SO feel free to throw any 4K videos to it. Step 2: Choose the output format for your target video file. Note: this macOS Sierra 4K video converter can easily convert & compress 4K videos to 1080P Mac general video formats (MOV/MP4/M4V) or other iOS or Android mobile device supported formats. Step 3: Click "Browse" to select a folder to save the output files. If the default folder set by the top 4K video converter for macOS, jump to the next step. Step 4: Click "RUN" button to start converting 4K video movie files. Several minutes later, you can stream your converted videos on 4K video players like 5KPlayer, VLC Player, Media Player Classic, etc. As one of the best macOS Sierra 4K video converters, iSkysoft Video Converter for Mac have received much praise from all kinds of users. At first, its simple and easy UI will deeply impress newbie and make them believe that 4K UHD video conversion is as easy as a pie to them. Second, iSkysoft macOS Sierra video converter is capable of converting 4K videos to all HD/SD/3D video and audio formats, such as, 1080P MP4, 720P MOV, FLV, AVI and more. Furthermore, as a bonus feature, this 4K converter macOS Sierra also can download 720P/1080P HD, 4K/8K UHD videos/movies from more than 100 sites like YouTube, Hulu, Facebook, Vimeo, etc to Mac computer. BTW, iSkysoft Video Converter for Mac always upgrades to support the newest Mac OS X, and macOS Sierra is no exception. 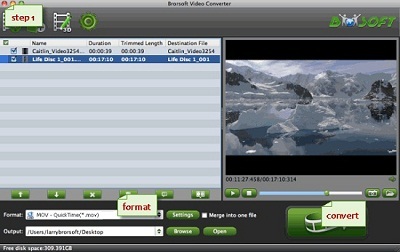 Working as a full-featured 4K Ultra HD video converter, Brorsoft 4K video converter for macOS Sierra has a strong ability to transferring 720P/1080P HD and 2160P videos from Camcorders/Cameras to 250+ formats covering X265 to X264, MP4, MOV, WMV, AVI, VOB, AAC, AC3, etc. Certainly, converting 2160P video/movie/MV to portable devices is a piece of cake. For example, converting 4K video to iPhone, transcoding 4K video to Samsung devices, transferring 4K videos to HTC and more. And this macOS Sierra 4K video converter also can aid you to extract audio from 4K video files and convert them to popular audio formats for making ringtone or replaying on the mobile devices. Aiseesoft 4K Ultra HD converter, a specialized macOS Sierra converter for 4K video, is able to convert 4K to 1080P macOS Sierra or other 4K video formats like 4K MP4, MOV, AVI for compatible with various video players. In the process of 4K video transcoding, users are allowed to adjust video's brightness/contrast/saturation or edit video by cutting, merging and rotating. Finally, it supports converting more than one 2160P videos at the same time. Another advantage of this 4K video converter for macOS Sierra is converting 4K 2D videos to 3D video for better viewing. Generally speaking, each of these 4K converters for macOS Sierra can become your good assistant when you try to decode 4K videos to 1080P/720P HD video formats. And in addition to 4K video conversion and compression, you should be clear on what you want before you make decision. Conversion speed, low price, audio extracting function or 4K video download free?